Going to bed without removing your make up can be the highest level of torture for your skin and using harsh make up removers can just make things worse. A mild yet highly effective cleanser Sensibio H20 comes from the makers of the best skincare products. Bioderma, through a miraculous formula has successfully created Sensibio H20 micelle solution. It effectively removes water based make up without being harsh on skin. The soap free cleanser is suitable for all skin types as it maintains skin's natural ph level. Give your skin the beauty sleep it requires! High on ph formula maintains skin natural moisture level. Formulated for sensitive skin hence prevents irritation. Sensibio?H2O?guarantees excellent cutaneous and ocular tolerance (tested under ophthalmological supervision). Explore the entire range of Makeup Remover available on Nykaa. 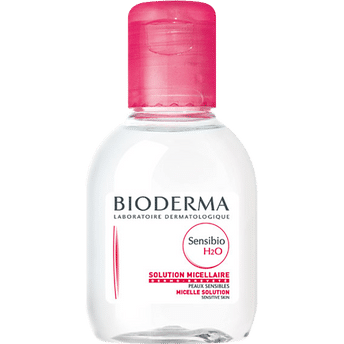 Shop more Bioderma products here.You can browse through the complete world of Bioderma Makeup Remover .Alternatively, you can also find many more products from the Bioderma Sensibio H2O Micellar Water range.